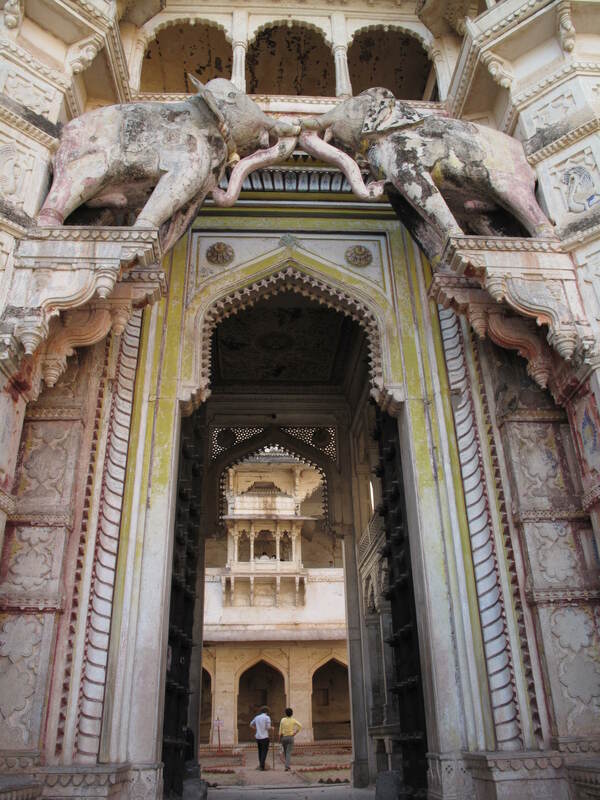 Through One Love Tours, Rachel and I were able to see some of the tourist attractions in remote areas of Rajasthan and Madhya Pradesh. 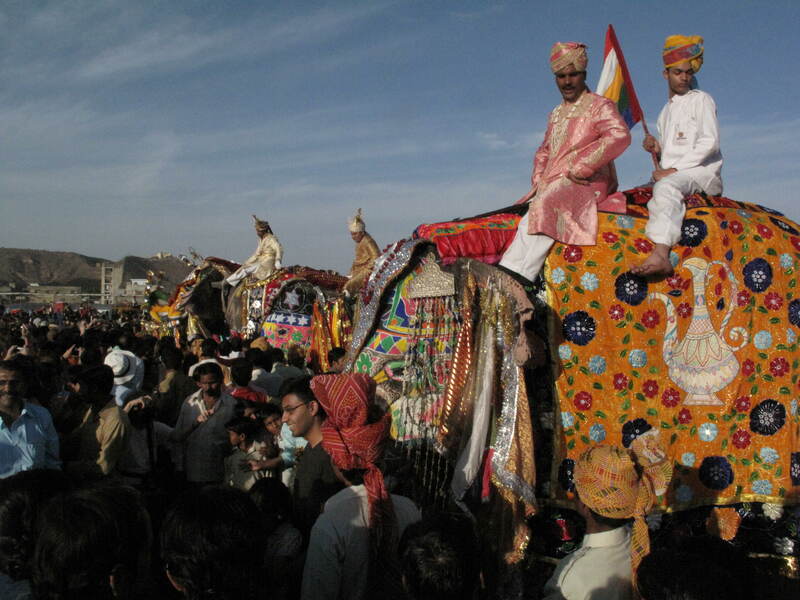 Unlike the crush of traffic elsewhere in India, there were long stretches of open road between Ranthambore and Orccha. 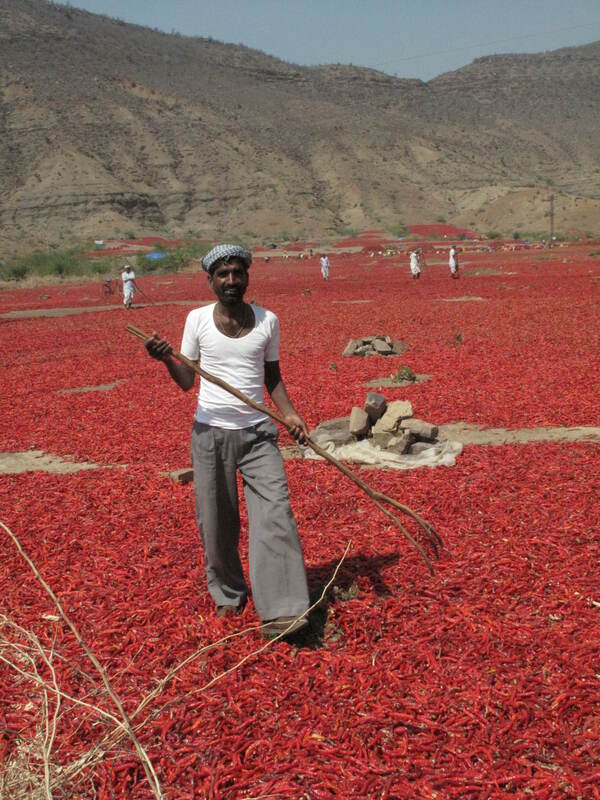 We drove through several types of farm land, including incredible fields full of drying chilies. 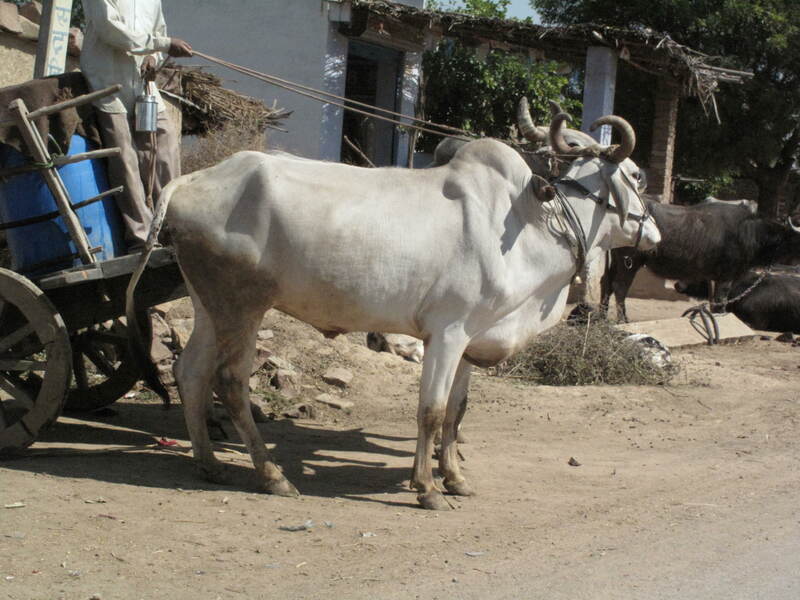 Farmland then gave away to scrub land peppered with tiny villages. 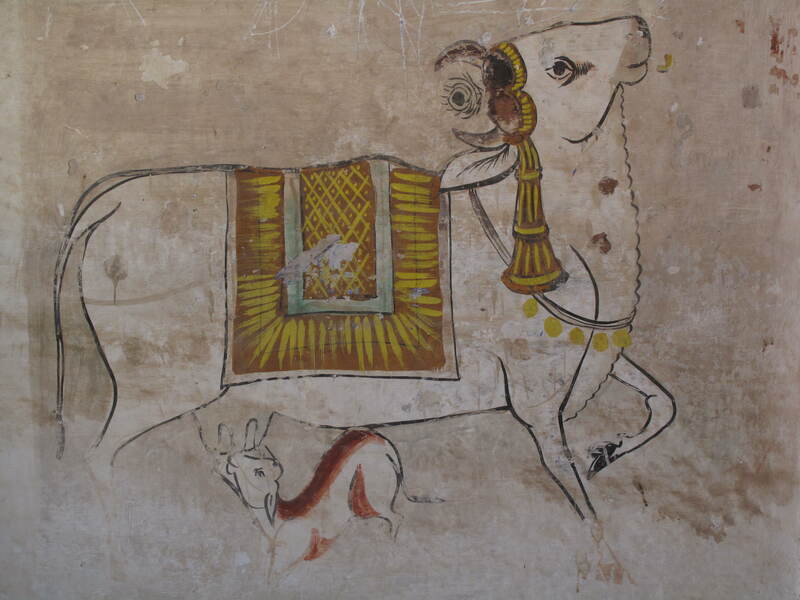 We passed many herds of native Indian cows being followed by one or two herders. 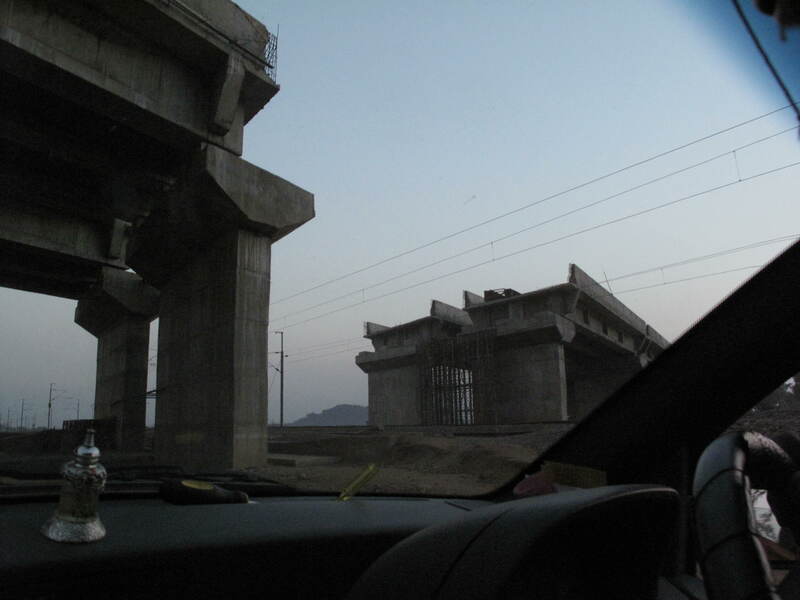 Though many parts of India are becoming increasingly modern, this lonely stretch of highway felt timeless. 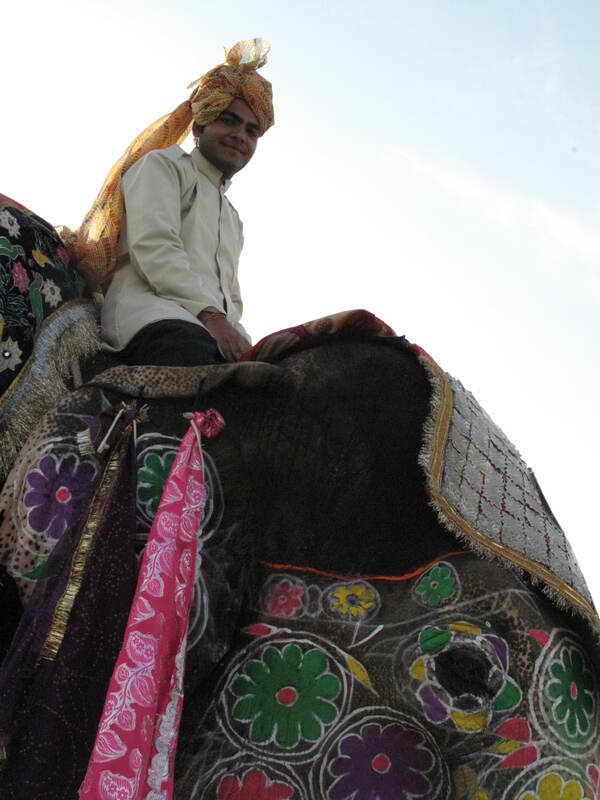 The excited call, “Gori! Gori!” (“White Girl! White Girl!) 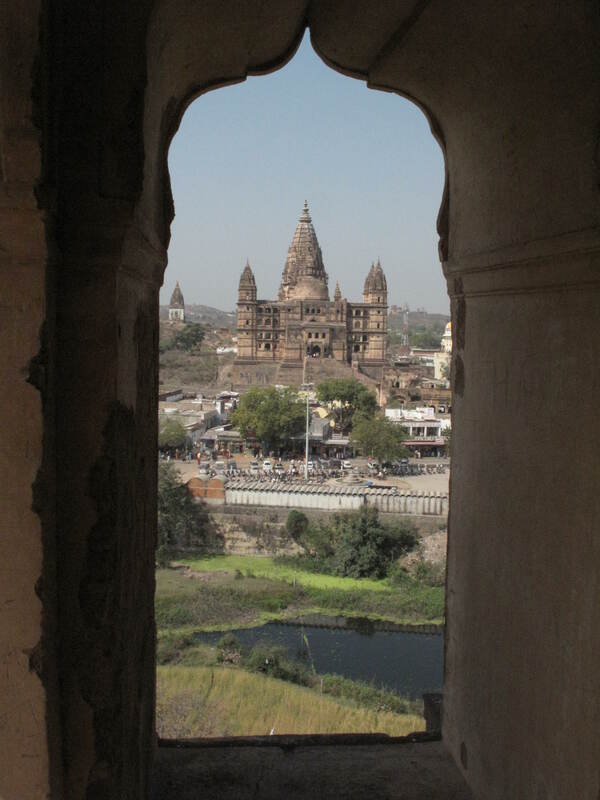 from the group of men that worked at the boarder tax booth between Rajasthan and Madhya Pradesh was further evidence that few foreign tourists passed this way. 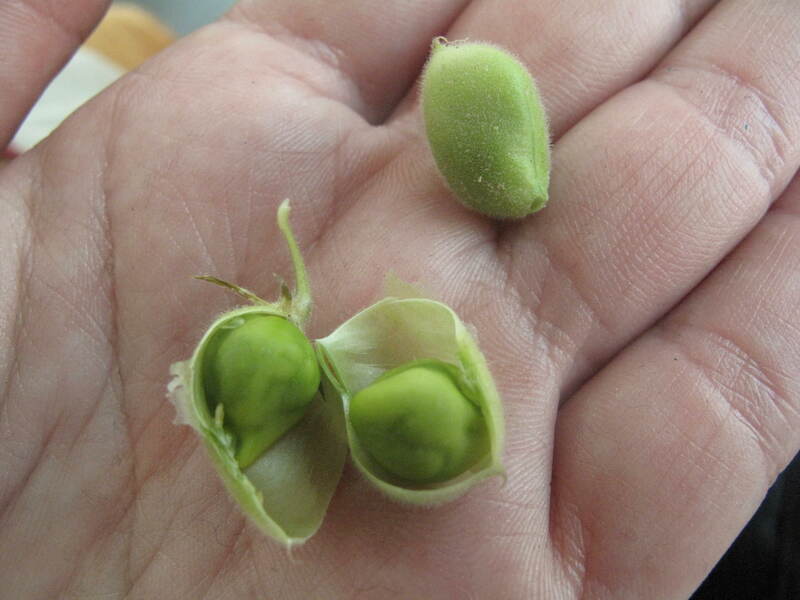 One of the guys shoved a bunch of fresh chick pea stalks into the car window as an offering. The fresh peas picked out of their pods are a seasonal snack in India and you see people carrying bunches of them to sell or snack on. They invited us to tour their modest temple behind the tax booth and fed us bananas and asked us the common introductory questions about marital status and how many sisters and brothers we have. As soon as we sat back in the car pleasant and hospitable experience was marred by one of the more enterprising men who asked us for “dollars” for our afternoon snack. We smiled awkwardly, kept our “dollars” and drove away. It was a long day driving and 30 kilometers before we were supposed to reach our destination, without warning, the highway ended. Fortunately, there were sufficient barriers in place to prevent us from crossing this bridge and a dirt track under the bridge that eventually rejoined another actual road. 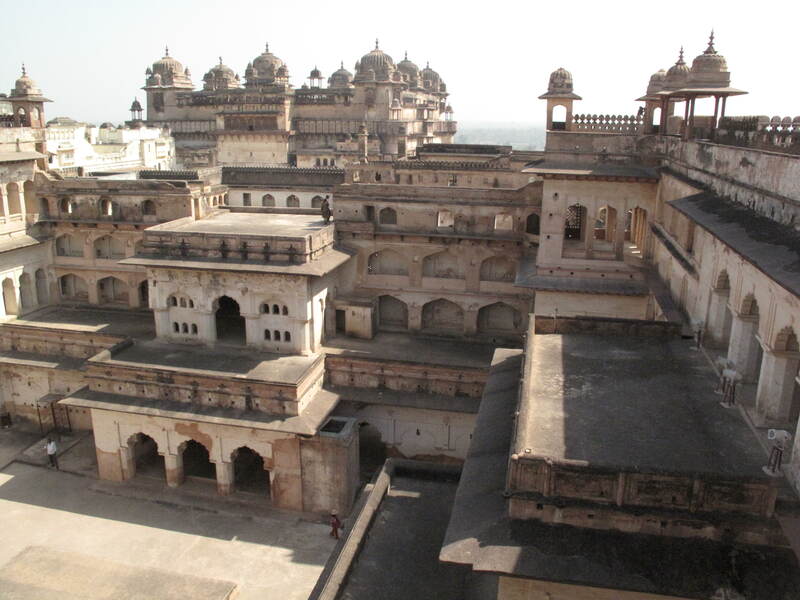 Orccha is a small town that has two forts, one built in the Mogul style and another in the Hindu style that has a hotel occupying a part of the fort in between the two. Rachel and I stayed in a beautiful hotel room and would have had a peaceful night’s sleep if it hadn’t been for the Rama temple across town blasting high powered spiritual music 24-7. 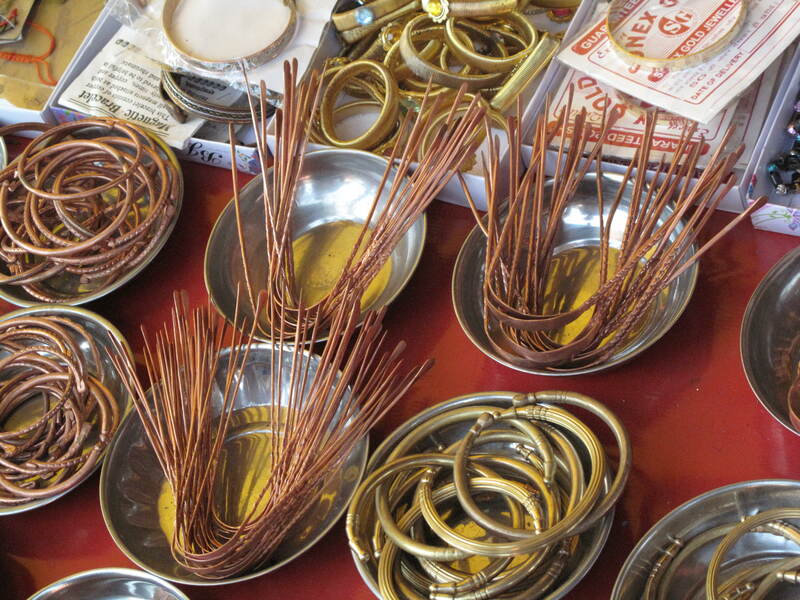 One of more amusing items I have come across in India are these tongue cleaners at the market in Orccha. 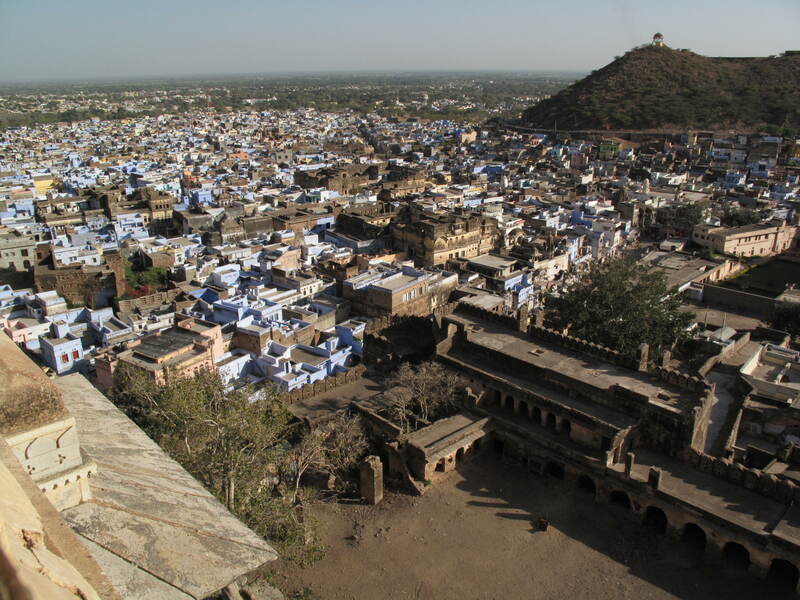 The blue hued town of Bundi was the next stop on our tour. 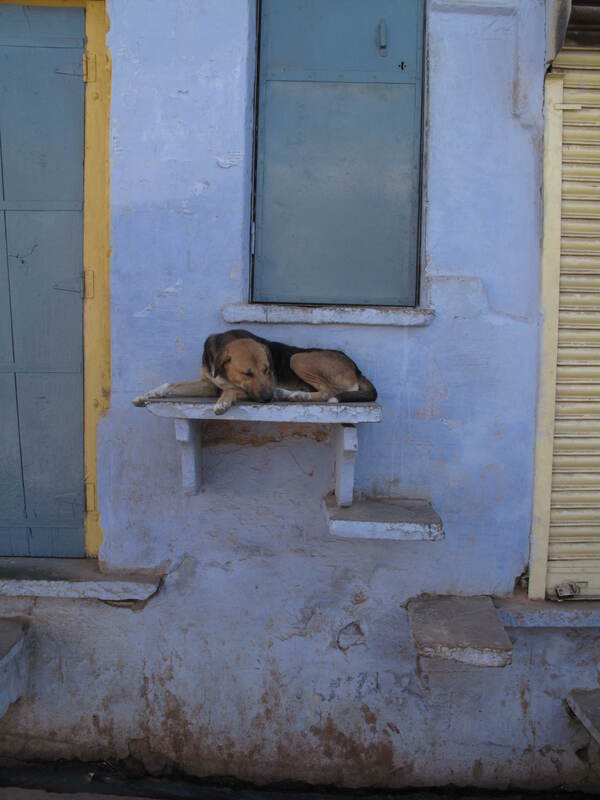 Like Jodpur the Bhramin caste paints their houses blue and Bundi appears well populated with them. 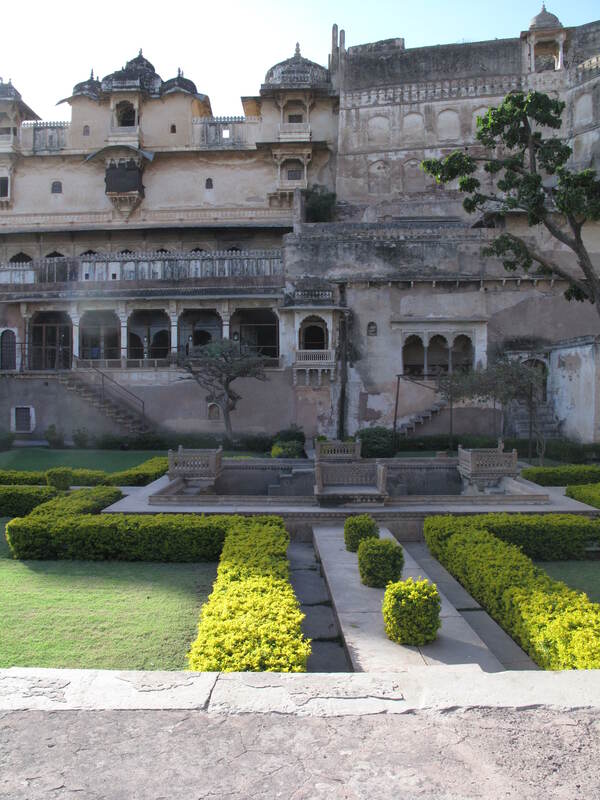 Bundi was much smaller and quieter than Jodpur and a place I would have liked to stay at and relax for a couple of days if the town’s lake had not smelled like a septic system. 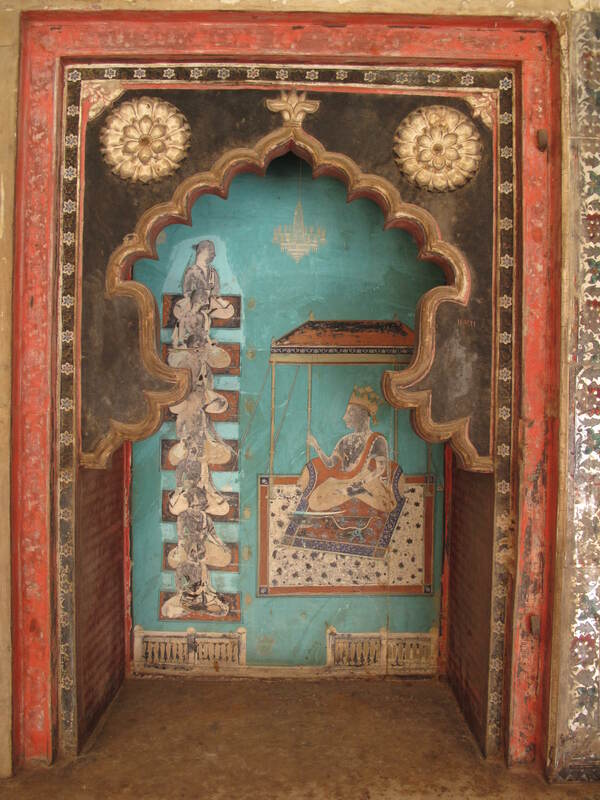 The town’s palace is now in ruins, but still retains its graceful beauty and hosts an amazing collection of miniature paintings on its decaying walls. 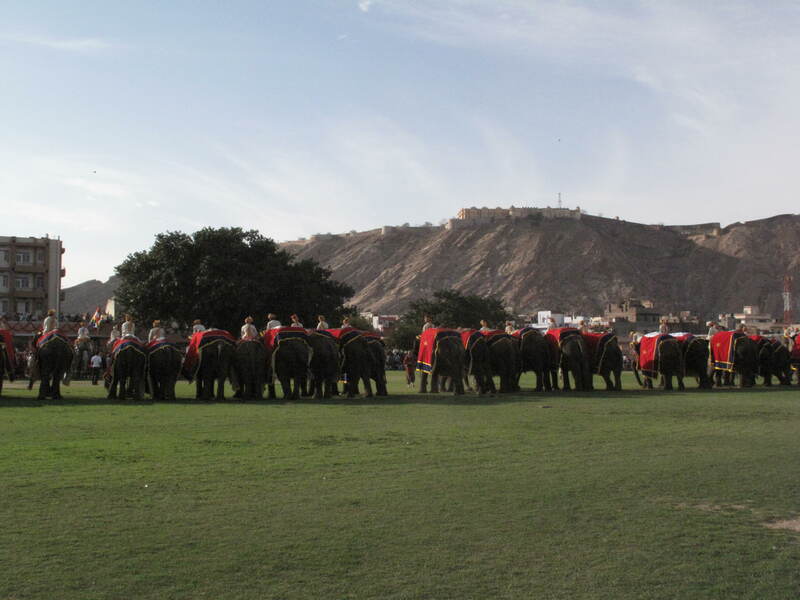 Back in Jaipur, we re-joined the hordes of foreign tourists at the Elephant Festival. 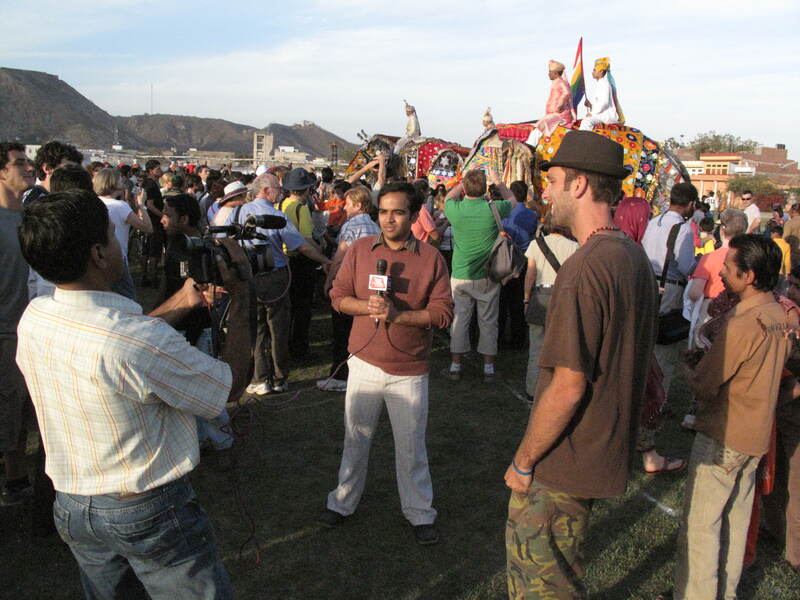 TV crews interview many foreigners – including myself and my friend Steve. 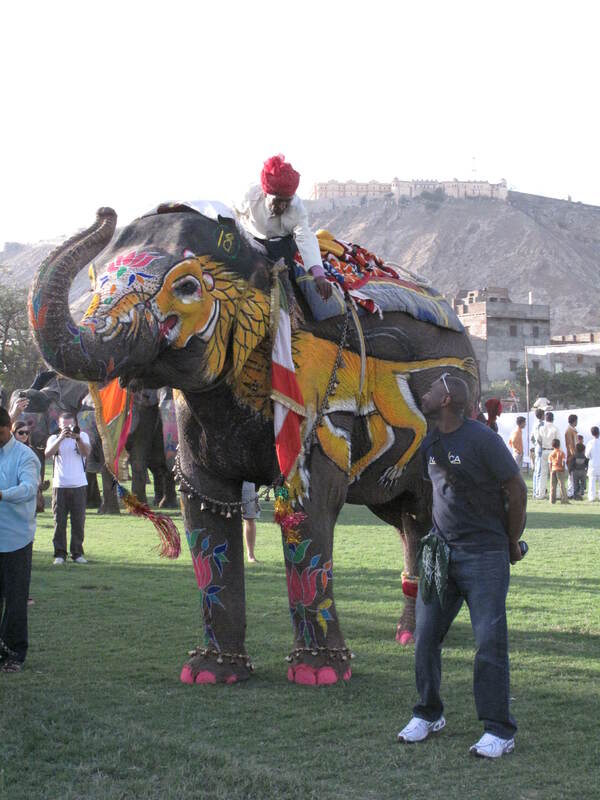 There were some contests with the elephants, like elephant football–in which more than one beach ball met its unnatural end, but the elephant decorating contest was definitely the highlight of the festival. 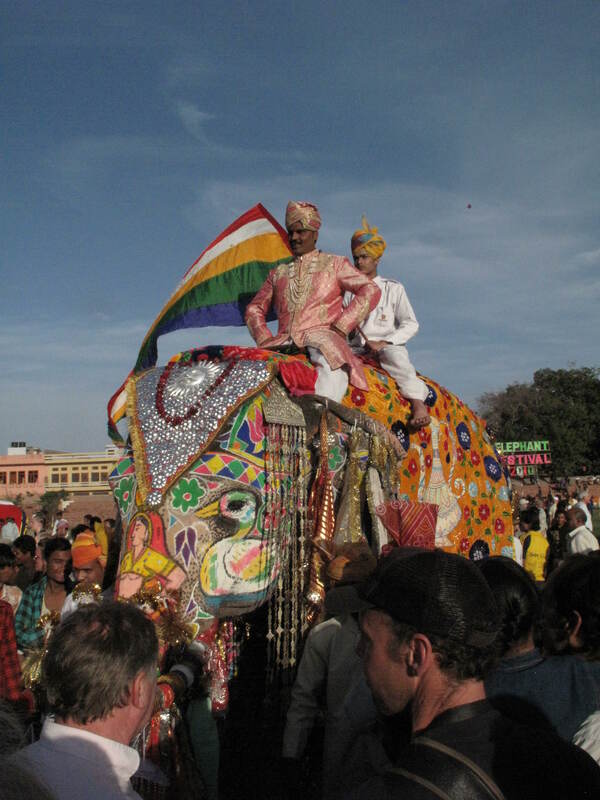 This entry was posted in India and tagged Blue City, Bundi, Festivals, India, Jaipur Elephant Festival, Orcha. Bookmark the permalink.